...black raspberry, red raspberry and some with all of them. 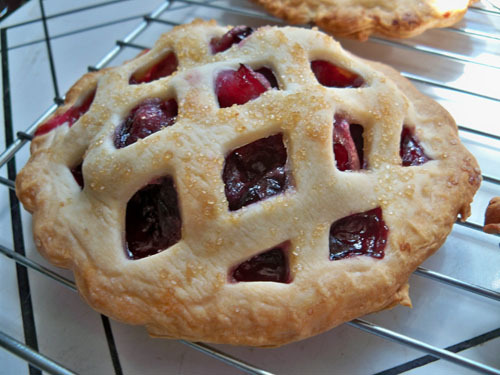 I used the Williams-Sonoma Lattice Pocket Pie Mold to make them. We needed dinner so I made some savoury ones too. 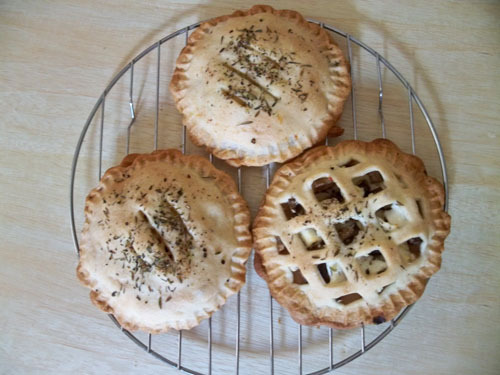 These are swiss cheese, goat cheese and mushroom pocket pies. They are so darn cute. And tasty! I see a lot more pocket pies in our future! that's a cool mold. 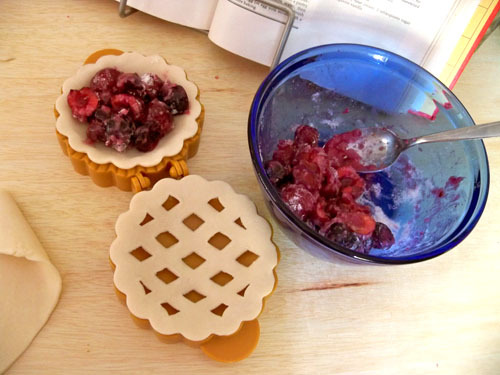 no more conventional way of making pies! Very cute and yummy looking! 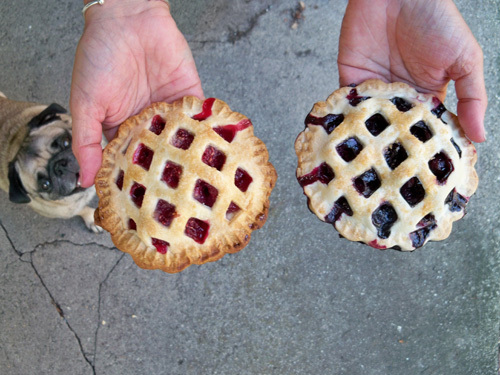 All the pies look great! What kind of crust did you use? I'm guessing that a flaky crust might not hold together. Kelly - I didn't have a lot of time 'cause we were leaving for a concert so I used Wegmans pre-made crust! It turned out great! That's why it was super fast. Love it! I see Oscar is hoping you drop one for him in that last shot! 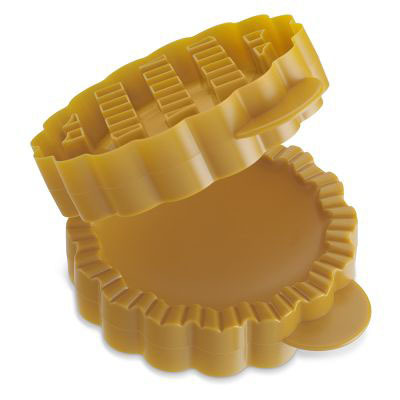 did you buy several molds? I assume you didn't make these one at a time?! 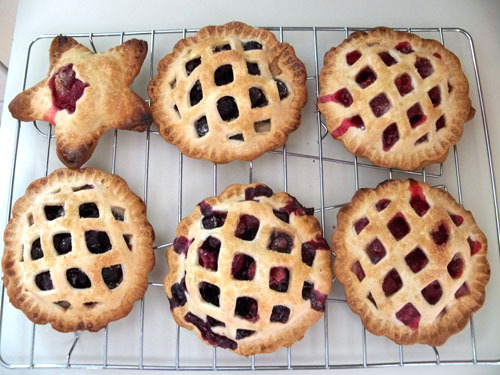 I'm totally getting these- your pies came out lovely! super fast sounds super good! 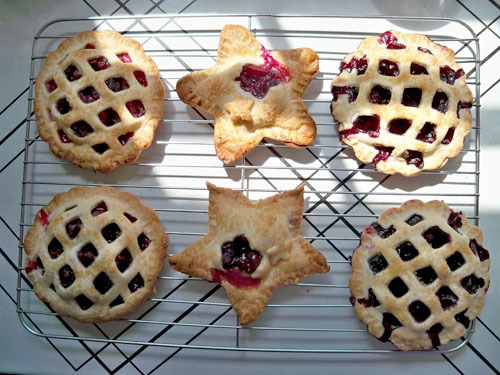 I bought one lattice mold and one star mold because it was on sale half price. I baked six at a time. These look amazing! 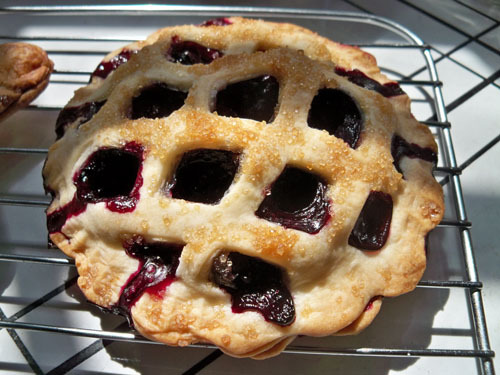 I have the lattice top mold and have loved it! They sell the best stuff! I starred this blog post and JUST went today to get this mold! Yay. Just wondering what did you use for your filling? (recipe?) Can't wait to try it!! I sort of winged the filling. Berries + sugar + flour. That's all.